Craft Brew Night is held at Pearl Street Brewery from 6-7:30. For just $25, you'll get to craft, have a pint, and help us build homes, communities, and hope! Crafts are led by local artists and made with materials straight from the ReStore! ​Watch our Facebook page and this website for more details! 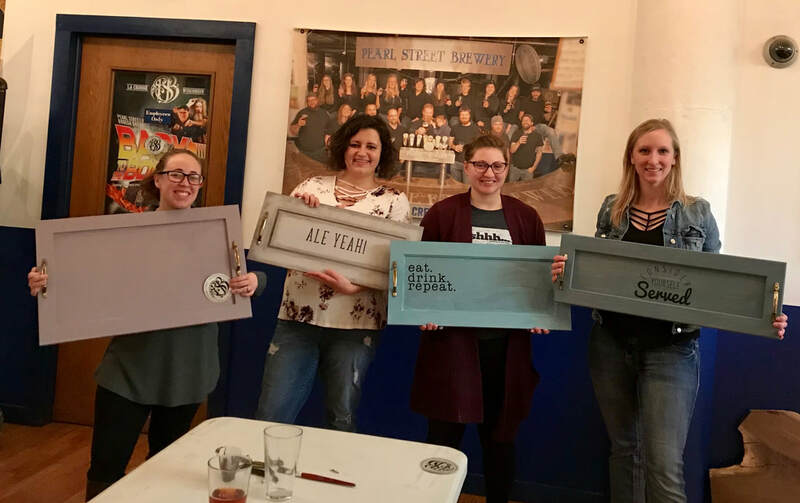 April's Feature Craft Brew Project!